Back in May and before the local elections we put together a report on the likely cost of water for households based on the information to hand at the time from the Commission of Energy Regulation. At the time the assumption was that when meters are installed we would all be paying €2.20 per 1,000 litres. Each household would have an free allowance of 30,000 litres of water and there would be an allowance of 38,000 litres per child under the age of 18 in each household. Fast forward to July 31st when the Commission published their water charges consultation plan and the story has changed significantly. Based on the latest plan if you got a private well or a septic tank you are considered to be in the category of needing to pay a single water charge. This will be €2.44 per thousand litre. If you have neither a septic tank or private well you will be due to pay for a combined water in and waste water out service. This rate will be €4.88 per thousand litre. The previously proposed 38,000 litres per annum per child is now reduced to just 21,000 litres. Our report is based accessing water used for baths or showers, toilets, dishwasher, washing machine, washing car, drinking water, gardening and allowances are also made for other water usage such as cooking, washing hands, brushing teeth etc. We also allow for water used by visitors to your home but we don’t take account of the fact that you might spend time away from home on holidays. You will find further assumptions on the below figures at the end of the statistics outlined below. *One person household uses dishwasher twice a week and washing machine twice a week. Two adult household three times a week and 5 person household 4 times per week. ** One person household uses washing machine twice a week. Two adult household washing machine three times per week and 5 person household 5 times per week. ***An allowance is also built in for visitors to your home and guests staying over. It is assumed that the more people living in the house the more guests you will have visiting. **** There is a 30,000 litre allowance for every household and a 21,000 litre allowance per member of the household under the age of 18. This report also assumes each household has one car only which is washed using domestic water supply once a month and that each member of the household drinks the recommended amount of 2 litres per day. What are Main Costs associated with using water and how can I lower these costs? Showers / Baths: What will they cost? According to a Unilever report in the UK people spend an average of 8 minutes per day in the shower. Some power showers can have a water output of up to 18 litres per minute. However for the purposes of our report we have assumed that showers have an output of 12 litres per minute and you spend an average of 8 minutes in it. 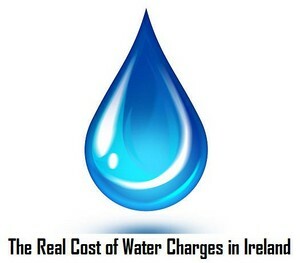 This means you use 96 litres of water a day at a cost of 46 cent per shower or €167.90 per person per annum. When taking a bath people on average use about 80 litres of water. Going by the latest planned rates announcement this works out at 39 cent per bath. 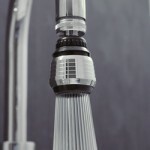 Showers / Baths: How can I save money? 1: Find out the water output of your shower. To do this place a one litre jug under your showerhead and time how long it takes to fill. Multiply this out to find out how many litres you use per minute. 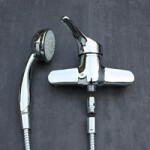 3: An aerated shower head will reduce water output by 40% without compromising the water pressure. This translates into a saving of over 65 euro per person per annum based on 8 minute showers with a 12 litre water output. 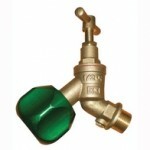 4: Shower water flow regulators can also be fitted on normal showers between the faucet and the hose. These can reduce flow to 6.2 litres per minute. They are not suitable for electric or multi-jet showers. 5: Stick to short short showers after installing water saving showerhead or flow restrictor and avoid taking baths as much as possible. 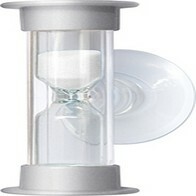 A shower timermight help you adjust your showering behaviour. Toilets – What will they cost? A modern toilet cistern (installed in last 10 years) generally has a 6 litre capacity. In our report we estimate that people flush the toilet about 8 times a day but only 5 times whilst in the home. This means the cost of flushing works out at about 14 cent per person per day. (2.8 cent per flush). It is important to note however that older toilet cisterns have a flush capacity of between 9 and 12 litres. Toilets: How can I save money? 1: Check the flush capacity of your toilet. If it is greater than 6 litres install a cistern displacement device such as a toilet tank bankat €5.95. You fill the tank bank with 2 litres of water and clip it on to the inside of the toilet cistern. This means that each time the toilet is flushed 2 litres remain inside the cistern so less water is required to refill. Two of these could be installed on cisterns with a 12 litre flush capacity. Dishwashers / Washing Machines – What will they cost? Dishwashers / Washing Machines – How to save money? Only use when you have full loads. Washing Car – How much will it cost? We estimate that people will on average use about 300 litres of water when washing their car at home. This will work out at €1.46 every time you do a car wash. Washing Car – How to save money? Other than doing it less often or using some sort of cleaner that does not require water it is hard to see how you can save. At €1.46 per wash it is still probably better valve than you will get at the filling station. Gardening – How much will it cost? This is a difficult one to access. Some people will not have any garden and for those that do the bigger the garden the more water you are likely to use. For the purposes of our report assumed that you do have a garden and that you use about 7,300 litres per annum in the garden (about 20 litres a day). This might sound conservative but we are assuming that you will only use water in the garden between the months of May and September and it does rain quite a bit in Ireland. It works out at just over 35 Euro so if you do not have a garden to water subtract this amount from the overall estimates we have made above. Gardening – How to save money? 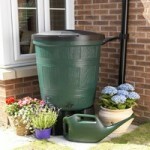 1: Installing water butts on the downpipes of your home so that you can collect rainwater and use this water in the garden instead of water from your outdoor tap is something even your plants will appreciate. 3: Focus on planting only things which do not require much watering. What are the other water costs? There will be other incidental costs such as drinking water, washing your hands, brushing your teeth, filling the kettle and so on. We allow an additional 30 litres per person per day for incidental costs such as washing your hands, cooking, brushing your teeth, filling the kettle and so on. This works out at over €50 per person per year. Other Water Costs – Ways to Save Money? 1: Fill two litre bottle of water and keep in the fridge. This avoids water running from the tap directly down the drain in order to get a good drinking water temperature. 3: Install Water saving tap aerators on your bathroom taps to reduce water flow to 4.5 litre per minute without compromising water pressure. 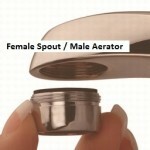 4: Install Swivel tap aerator on your kitchen tap. This reduces the flow rate to 7.6 litres per minute whilst maintaining a strong enough pressure to effectively clean pots and pans after cooking. 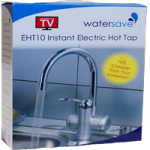 5: Install Electric Instant Hot Water Tap if there is a long draw from your water tank to your kitchen sink. This will ensure no cold water is wasted whilst you wait for hot water to flow. It can also help you significantly reduce your energy bill as you will no longer need to turn on your immersion or heating system to access hot water. What else can we do to reduce Irish water charges? Other Important Factors relating to Water Charges in Ireland? The CER proposes capping bills for six months so that people get used to paying for water but by next March any houses with meters will pay based on what they consume. At this time it is estimated that just 33% of Irish households will have meters installed. Everyone else will continue to pay an assessed charge until their meter is installed. An unmetered household with one adult will be charged €176 a year for drinking water and wastewater services, with each additional person over 18 paying €102 extra. Why is limescale is adding to your energy bill? That’s a very good informative guide. I work in Leaks Ireland and have a keen interest in reducing genuine usage. The aerators are brilliant and the instant water heater is perfect not only for saving water but also convenience. How much water is lost through the Infrastructure / lacking pipes in Ireland before it gets to the homes. I believe local authority reports from 2012 showed that the water lost through leakage was at 40% or more in the majority of areas. Indeed it was at 60% for Kerry County Council if I’m not mistaken. One of the arguments the government often make for the introduction of the charges is to fix the leaks. These costs are incredable . We are experts in rainwater harvesting , currently people reckon they need gigantic (3000 or 4000litre) underground tanks to harvest rainwater but a simple 2000litre above ground system is more than sufficient and neednt cost much more than €1000! and half your usage of mains water . that is only a 2year payback according to these figures . Believe me you dont need a big tank considering the amount of rain we have in ireland . Much of the tank paraphenalia come from tank manufacturers who are biased to supply big tanks . Too be fair I would imagine the size of the tank required is decided by the number of people living in the house and it really is a case of different strokes for different folks. With that said unless it is a new build I would imagine it can be a lot of hassle to install the underground tanks and it may take many years to get a return on investment. On the other hand some people might not want to have large ground tank systems sitting in their garden.